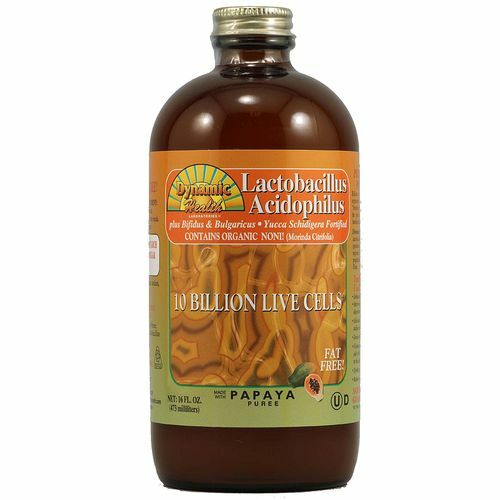 Lactobacillus Acidophilus Liquid by Dynamic Health Laboratories contains 10 Billion Live Cells! 警告: This product is naturally effervescent. Please open this bottle slowly. With this and all other dietary supplements, you should seek the advice of your licensed health care professional prior to using this product, especially if you are pregnant, nursing, considering pregnancy, taking any sort of medications (prescription or over-the-counter), or if you have an existing medical condition. Keep this product out of the reach of children. Use only as directed. Keep out of reach of children. 注意事项: Contains no artificial colors, flavors, preservatives, yeast, soy, wheat, starch or sugar. Certified kosher and safe for vegetarian consumption. Refrigerate after opening. 推荐用法: Shake gently before use. Adults: Take 2 tbsp during or after meals. Children: Take 1 tbsp during of after meals. For both adults and children, intake may be increased as personal needs require.